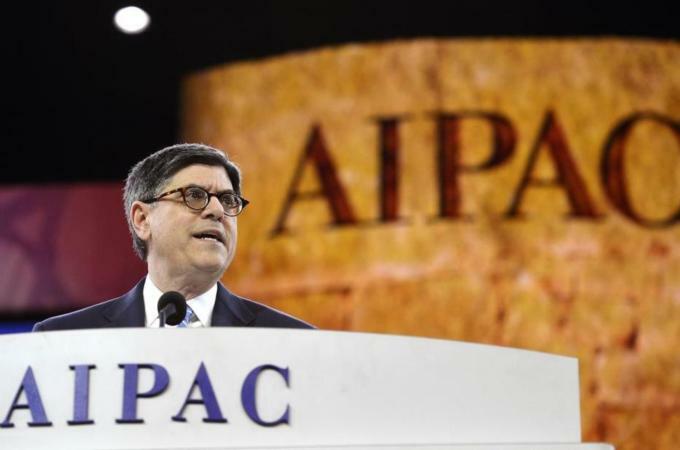 AIPAC: American watchdog or Israel’s attack-dog? The annual “schmooze Israel” convention that opened in Washington this week has been overshadowed by two issues: the US administration’s preoccupation with the Ukraine crisis and its insistence on negotiations with Tehran and on Palestine. Neither, however, seems to have diminished AIPAC conventioneers’ optimism regarding the future of the US Israel relationship. And for a good reason. If all politics are more or less local, the upcoming mid term Congressional elections should provide AIPAC with a huge “carrot or stick” leverage over the makeup of Congress, especially the Senate, and the legislative agenda in Washington for the next two years. AIPAC is in a good position to influence the hotly contested races throughout the country. As its outgoing president, Michael Kassen told AIPAC’s members on Sunday, while party politics “divides America”, it “unites” the Jewish lobby. After all, AIPAC is focused on one issue, one cause: Israel. President Obama knows that all too well. That’s why he decided to dispatch his Secretary of State to the convention, and to meet at the White House with Israel Prime Minister Netanyahu (whom I suspect he detests). Created in the 1950s and empowered by Israel’s 1967 war victory, the American Israel Public Action Committee, better known as AIPAC, has grown evermore influential since the mid 1970s. Known in Washington all too simply – and tellingly – as The Lobby, AIPAC’s power has historically stemmed from two major sources: Domestically, from the influential and organised Jewish communities – all 49 leaders of major Jewish organization have seats on AIPAC’s executive committee; and internationally, it stems from Israel’s regional utility to the United States in the context of the oil-rich Middle East and Cold War rivalry. Eventually, these two factors have paved the way for greater political alignment between the Jewish lobbying group and various interest groups, ranging from Christian Evangelicals to ideological militarists, to make up the larger “Israel lobby” in America. AIPAC’s influence over Congress and its legislative agendas are paramount for its overall lobbying effort in the capital, on the White House and America’s foreign policy in the Middle East and beyond. AIPAC’s strategy is one of barter, pure and simple. AIPAC helps congressmen and women get elected – financially and otherwise – in return for their support of its legislative agenda. Likewise, AIPAC helps US presidents pass their various agendas through Congress in return for White House support for Israel. And that has worked quite successfully over the past few decades as the US poured more money and arms to Israel than any other country in the world. And thanks to AIPAC, and other like-minded lobbying groups, Israel’s status continued to improve in Washington despite its many strategic failures and political fiascos since the 1973 October War. In fact, regional experts argue rather convincingly that the Israel utilitarian argument fell short on accomplishments – at least – since the end of the Cold War. So much so, they argue, that strategically for America, Israel has been more of a burden than an asset. But while AIPAC’s record on behalf of Israel has been astounding, the overly confident group has overreached on a number of occasions leading to major crises in the relations. AIPAC has generally succeeded when it functioned as an American watchdog over Israel’s immediate interests and its tight relationship with the United States. But when the lobby acted like an Israeli attack dog aggressively going after any and all American detractors of a narrow Israeli security agenda or a colonial agenda, the results have been mixed at best. AIPAC has started every decade since the early 1980s by picking a fight with the White House on behalf of Israel. In 1981, it was the AWACS sales to Saudi Arabia, in 1991 it was the loan guarantees to Israel, after 2001 it was Bush’s anti-terror Arab coalition, and since 2011 it has been negotiations with Iran. Ronald Reagan was the first presidential candidate to garner more Jewish votes than his Democratic rival, and became the staunchest supporter of Israel upgrading its relationship to major international strategic ally. And yet, there was little or no hesitation at AIPAC when the group launched a political assault against the Reagan administration and especially on the likes Secretary of Defense Weinberger for supporting the $8 bn Airborne Warning and Control System surveillance planes to Saudi Arabia. AIPAC dragged the issue but lost the battle with complete humiliation. The lobby, however, took the offensive once again in 1991, after the Bush administration had made a $10 bn of loan guarantees contingent on Israel freezing its illegal settlement building. This was a small price to pay if the Bush administration was to introduce a new regional Pax Americana after its Cold War and Gulf War victories. Alas, AIPAC and its Israeli patron couldn’t see the larger picture. Soon after his election for a second time in 1992, Israeli Premier Yitzhak Rabin’s first challenge was to restrain AIPAC. A dress down soon followed when Rabin, himself a former ambassador to Washington, scolded the lobby for unnecessarily straining Israel’s relationship with Washington. In no time, Washington had provided the loan guarantees as settlement building picked like never before. The number of settlers increased by 50 percent during Rabin’s rule from 1992 until his assassination in 1995. Again in October 2001, AIPAC echoed Ariel Sharon’s warning to the United States that it risked appeasing Arab nations the way European democracies appeased Hitler on the eve of World War II. The nasty provocation could’ve easily escalated into an all out political confrontation between the US and Israel if it weren’t for the stanchly pro Israeli stance of the Bush administration and W Bush’s willingness to follow in Israel’s footsteps in his “war on terror”. This was to be repeated again after 2010/2011, as AIPAC began to confront the Obama administration over the peace process and Iran’s nuclear program. Tensions escalated earlier this year after AIPAC tried to get Congress to impose new sanctions against Iran in contravention with the interim deal signed between the US and the World powers with Iran. Undermined by popular support for the deal and deterred by a presidential veto, AIPAC has put its sanctions on hold. Meanwhile, the real opposition to AIPAC is coming not from the White House but rather from the American Jewish community that has been generally supportive of Israel but not necessarily AIPAC’s way. New Jewish voices critical of AIPAC and of Israel’s colonial policies are on the ascendance even if they remain a minority within the organised Jewish groups. And relatively new Jewish groups like J street are also making their imprint on the political scene in Washington. During a recent Jerusalem meeting with Netanyahu, according to the Jewish daily Forward, the members of the conference of presidents of major Jewish organisations were essentially told to “renew their confrontation with the White House over increased sanctions, just 11 days after the effort was publicly abandoned by AIPAC”. It remains to be seen whether this proves counterproductive and backfires against Israel or simply works in favour of Netanyahu’s ongoing bargaining with Obama over Iran and Palestine. Israel would backtrack on Iran for now, only if Washington let go of Palestine. Expect the Obama administration – like its predecessors – to prod the weaker Palestinians to make more concessions towards another framework agreement than to nudge the intimidating Israelis ahead of midterm elections. Judging by the mute reactions of the Obama administration to recent insults against Secretary Kerry by Israeli defense minister, Ya’alon, Netanyahu has a good reason to be confident about Israel and AIPAC’s capacity to get their way with the Obama administration on a host of issues.